This is the AOH's third spirited recording, and the fun, excitement and feelings of love and nostalgia that come though it are part of the group's tradition. Included is the "Toy Set" that wowed the audience at the 2001 international competition in Nashville. The centerfold of the liner notes is a full-color shot of the 115-strong group on stage in complete "Toyland" costumes, from clowns and roman soldiers to pandas, cats, sailors, space cadets, Spiderman - you name it. It all says "fun," loud and clear, and that's how the group sings. 12 songs are here: "Applause," "I'm Beginning to See the Light," "Through the Years," "My Honey's Lovin' Arms," the Turtles' "Happy Together," "The Music of the Night," "Toy Song," "Toyland," "Short People," "One Alone," "Tonight" and "Friends." 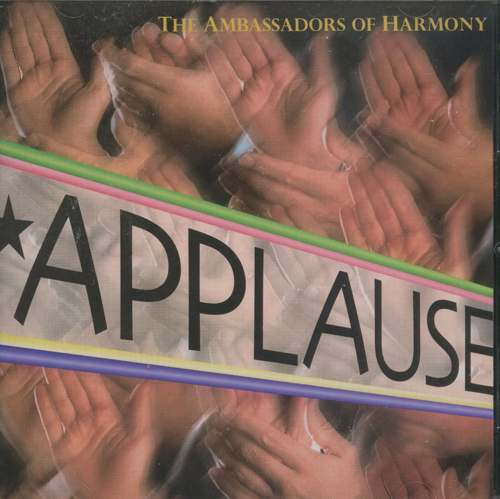 That must have been an unforgettable performance at SPEBSQSA Nashville, and this is an unforgettable CD on many levels - most of all the pure, sweet barbershop harmony that flows throughout.